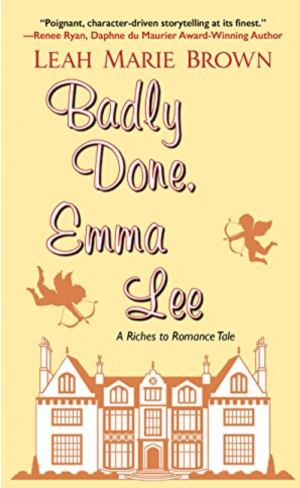 In this retelling of Jane Austen’s Emma, Emma Lee Maxwell is a pampered Charleston socialite who grew up well-connected, and wealthy. But when her father unexpectedly passes away it looks like Emma Lee’s going to have to get a job like the rest of us chumps. But don’t worry. Emma Lee has a plan. 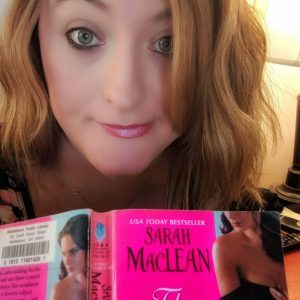 She just inherited a cozy cottage in in England…so why not up and move to another country and put her true talents to use by becoming a professional matchmaker? A very pregnant me when we lived in Charleston. 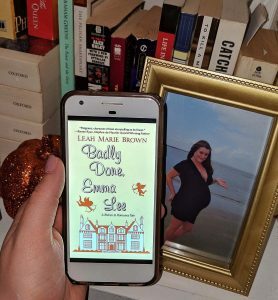 I’m always a sucker for an Austen retelling and I definitely thought Badly Done, Emma Lee was a cute story. What I liked best about it was that it was a retelling wherein the characters weren’t in some alternative timeline where they’ve never heard of the original story but rather they talked about Emma a lot and were somewhat aware of the curious parallels between their lives and Austen’s ode to the overly-confident matchmaker. So that was a fun twist. 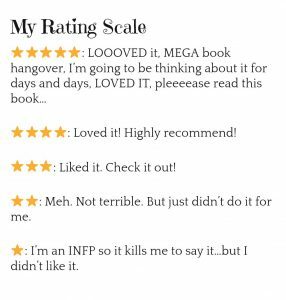 The trouble with this book for me was that I didn’t find the main character particularly likable. And I feel guilty about it because she was a nice girl…but the fancy Southern Belle shtick got pretty old after a while. Maybe it’s just the hardy Midwesterner in me…but spoiled rich girls just aren’t my jam. Also, I did live in Charleston, SC for three years and I felt like Emma Lee’s Charleston-isms were a little too much. I never met ANYONE from Charleston who talked the way Emma Lee does in this book. I found it distracting. Sure, I understand that she’s meant to evoke the original Emma’s unflattering characteristics but…meh. However, I still would recommend this book to anyone looking for something cheesy and fun. It’s a quick and light read with some cute moments. Thanks for your review. All the best and happy reading.